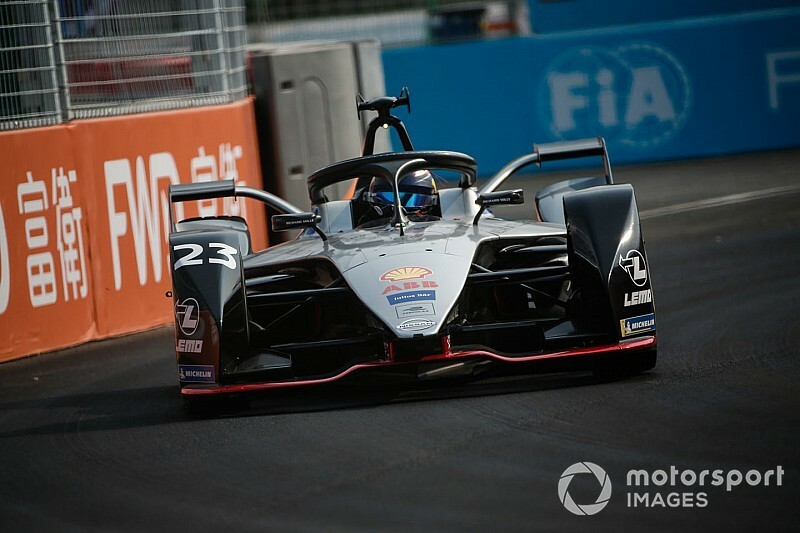 Nissan e.dams driver Sebastien Buemi set the fastest time across the two practice sessions for ABB FIA Formula E’s inaugural race at Sanya, despite hitting the barriers head-on during FP2. Buemi set a best time of 1m07.288s to depose long-time FP2 leader Antonio Felix da Costa and go fastest by 0.109s. That session-topping time from Buemi came just 10 minutes after he had crashed into the barriers at the exit of Turn 3 – the left-hander where the track’s attack mode activation zone is located. He appeared to have an issue mid-corner and went nose-first into the barriers as result, but was able to reverse away and head back to the pits for repairs. 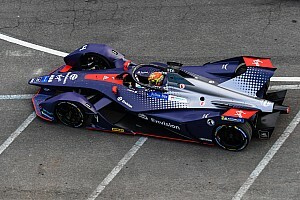 Buemi rejoined the action late-on and set the quickest time with just over two minutes of the second session remaining. Oliver Rowland, who had topped the opening 45-minute FP1 session, set the third fastest time in the other Nissan. 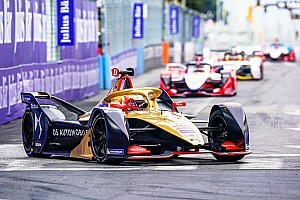 Behind Rowland came Mahindra's Jerome d’Ambrosio and DS Techeetah driver Jean-Eric Vergne, who finished just 0.177s adrift of Buemi’s best effort in fifth despite visibly struggling with the handling of his car during FP1 – where he ended up seventh. 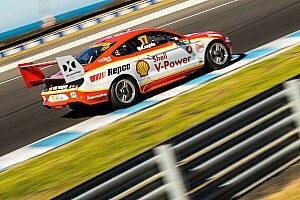 During FP2, the cameras captured Vergne gesticulating furiously towards Jaguar’s Nelson Piquet Jr as they ran through the penultimate corner during the early running. 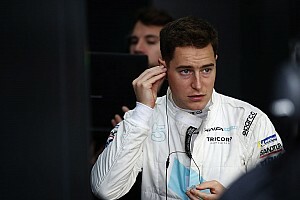 Hong Kong winner Edoardo Mortara finished sixth fastest for Venturi, ahead of Audi’s Lucas di Grassi and the Dragon Racing pair Felipe Nasr and Jose Maria Lopez. Current drivers’ championship leader Sam Bird ended up just outside the top 10 in FP2, 0.427s slower than Buemi. 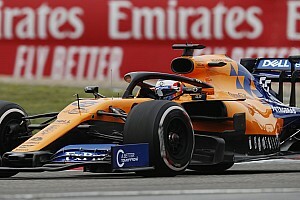 Stoffel Vandoorne (HWA) led Felipe Massa (Venturi) and Andre Lotterer (DS Techeetah) in positions 12-14, ahead of Daniel Abt (Audi) and Robin Frijns, who scraped his Envision Virgin Racing car along the Sanya circuit’s walls on a number of occasions during FP1. But Frijns did not cause any major damage to his car. Piquet had to climb out of his car early on in FP2, the reason for which was an FIA-requested halo light battery change, which was confirmed by Piquet’s Jaguar team. Alexander Sims ended up 20th during FP2 in the second BMW Andretti-run car, ahead HWA’s Gary Paffett and Mahindra Racing driver Pascal Wehrlein. Both Paffett and Wehrlein hit the wall going through Turn 6, which is an acceleration zone right-hand blast that leads onto the long run – officially Turn 7 – heading down to the hairpin. Wehrlein struck the wall first and appeared to hit it harder with his left-rear wheel, while Paffett seemed to strike it more square-on. Both drivers were able to recover to the pits.